INFPs are one of the rarest and most visionary Myers-Briggs® personality types. According to the Myers & Briggs foundation, they make up a mere 4.4% of the US population. They have many titles, including “dreamer”, “mediator”, and “healer”, but what gives them these names? What qualities do most INFPs possess that make them different from all the other personality types in the Myers and Briggs system? Let’s find out! The greatest power or strength that the INFP has usually lies in their dominant function, Introverted Feeling, or “Fi” for short. INFPs are on a constant quest for personal growth and self-discovery. Their aim is, above all, to be authentic in all things and to be true to their values. They funnel their passions, emotions, desires, and values into select causes, often becoming “champions” of these causes. If you look through the pages of history, you’ll find that many INFPs weren’t afraid to stand out and take risks for their cause (Joan of Arc), or write groundbreaking books about political change (George Orwell). INFPs are intensely individualistic. They may not draw a lot of attention to themselves willingly, but they don’t believe in blending in with the crowd or succumbing to peer pressure. You can see this when you look at most of the rumored INFP musicians; people like Kurt Cobain, John Lennon, Tori Amos, or Bjork. There’s a strong sense that these individuals have or had a very unique, one-of-a-kind identity and they weren’t afraid to be different or speak up against the status quo. INFP’s have a deep set of emotions and values that they adhere to. They get strong gut feelings about whether something is right or wrong, and it may be hard for them to vocalize or explain these feelings. They just instinctively know when something violates a value or when something aligns with it. Unlike Extraverted Feeling types, INFPs keep their emotions close to the chest. Like a fur-lined coat, their emotions and feelings are warm, yet hidden from view. INFPs may even appear distant or reserved to many other types, as they don’t pour out their feelings readily. It usually takes a great deal of trust before INFPs feel comfortable sharing their deepest values and emotions. Often, they feel more comfortable writing about their feelings than vocalizing them. Music, art, poetry, reading..all these creative mediums tend to attract INFPs like a moth to the flame. They truly enjoy the process of “feeling”. They enjoy having their emotions captured by an authentic and raw expression of passion or conviction. Many INFPs are drawn to career fields in the arts; they tend to have strong writing capabilities or else they enjoy drawing, music, acting, painting, or any other number of creative pursuits that allow them to express their feelings in an indirect way. INFPs tend to have a soft spot for people or animals that they believe are marginalized or ignored. It is very common to find INFPs fighting for the rights of endangered species, or children, or refugees, or any group they feel is being oppressed. They tend to pour their hearts into these causes and can make great progress in advancing awareness for these groups. Authenticity, compassion, sincerity, empathy, and idealism are all hallmarks of the INFP personality. They believe in digging deeply into their core beliefs, values, identity, and desire to find their true calling in life. They’re not afraid to stand up to scrutiny or be called “oddballs” if their vision or life goal is outside the norm. What matters to them is making a difference, doing what they feel is right, and living at peace with their own inner values. After feeling, INFPs have another preferred process called Extraverted Intuition, or “Ne” for short. While it’s not usually as strong as their dominant function, intuition has a powerful impact on the way they see the world around them. INFPs are highly imaginative, conceptual, and drawn towards future possibilities. They see interrelationships and connections between things in the outside world, and find the world to be a veritable playground of creative ideas and potential. When INFPs interact with the outside world, they’re likely to show use of intuition even more than feeling. Because their feeling function is introverted, it is more likely to be internalized unless they are in a deep discussion with someone they trust. However, their intuition is extraverted in nature, so they’re likely to enjoy discussing possibilities, theoretical ideas, the future, and their ideal vision for tomorrow. Many INFPs use their intuition in artistic ways; to write stories about the world in the future, to paint abstract art, to tinker on a musical instrument until just the right tune emerges. INFPs can also use their intuition to create business plans, or to work with people in creative and thoughtful ways. 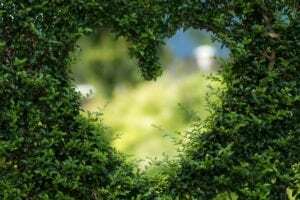 Many INFPs are drawn to careers in counseling or social work, where they can combine their creativity with their deeply held values and empathy for people. Introverted Sensing is the INFPs third-preferred mental process. This function is nearly the opposite of Extraverted Intuition, the function we just discussed. While Ne is all about seeing new possibilities and abstract connections, Introverted Sensing (or “Si” for short), is all about using personal experience and deriving practical, concrete applications from that. 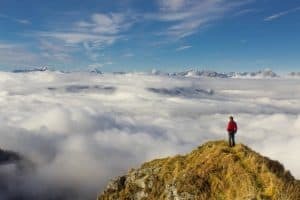 INFPs usually develop Si in their 20’s or 30’s, and it gradually becomes a process that they use creatively or as a way to relax and find relief. You might find that INFPs enjoy revisiting their favorite places, watching their favorite movies, or listening to songs they enjoyed as a child or teen. They might suddenly develop a passion for a certain type of memorabilia or they may become more fond of repeating certain processes that they’ve learned instead of always having to try something new and different. The influence of Introverted Sensing gives INFPs a great trust in their own experience and the impacts of those experiences. If they’ve gotten an impression of something through a personal experience they can be hard pressed to change their mind. The young INFP is more likely to bypass Si and instead focus on intuition and trying new things, new concepts, new ways of doing everything. As the INFP develops and matures, they form a deeper respect for Si and they become more balanced. They still experiment with new methods, but they’ve also discovered which tried-and-true processes are worth repeating and when it’s practical to use a proven method versus experimenting. Extraverted Thinking, or “Te” for short, is the INFP’s inferior function. This tends to be an area where they struggle more in their daily life or feel insecure. They may aspire to use this well, and admire this function in other people, but they tend to feel out of their element when trying to harness it. 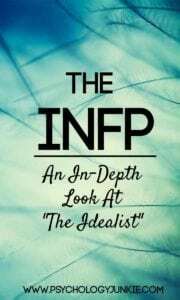 INFPs will most often revert to using Introverted Feeling when they are faced with decisions and evaluations. This is their “happy place”, and the function that helps them to experience a flow state. However, as INFPs grow they may suppress Fi’s opposite, Extraverted Thinking, to such a great degree that it starts to react by inadvertently “leaking” into consciousness at random times. When this happens, INFPs may feel themselves suddenly behaving out of character or feeling out of their element. What is inferior Extraverted Thinking like? 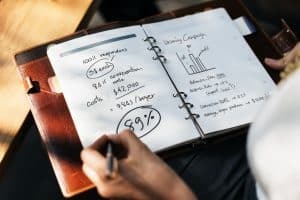 When INFPs use Te in a healthy way, it helps them to become more focused, more objective in their decisions, and more organized in their ability to complete tasks and prioritize their responsibilities. As INFPs grow and mature, they become much more aware of the logical way to do things, more concerned with task completion, more capable of delegating and giving and receiving constructive criticism. 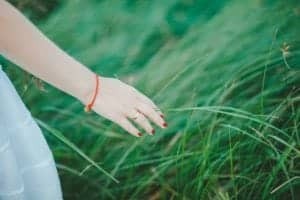 When INFPs are younger, or if they remain in an immature stage of life for long, they can seem overly-sensitive to criticism and they may struggle with seeing things objectively. They may see everything through the lens of how it impacts them emotionally or personally. They may struggle with prioritizing and completing projects or outlining their goals in an achievable way. They will have moments of skill with this function, but too often those moments will be fleeting. INFPs feel a push and pull towards loving and hating Extraverted Thinking. Te is inherently the opposite of Fi and thus they are at risk of seeing it as “the enemy”. Fi is all about personal values, subjective experience, individuality and freedom. Te is very much about structure, impersonal, objective logic, and more black and white empirical thinking. It’s important for INFPs to realize that Te is not the enemy, but a useful function that will help to balance their Fi and their entire personality. Te grounds the INFP in logic, gives them the ability to achieve their goals more readily, and gives them the criteria to make more balanced decisions. Does this mean that INFPs should concentrate on using thinking more? – Think of a big goal and break it down into bite-sized pieces. – Create a plan for the day that prioritizes the most important tasks. Structure the day to meet the most important goals first. – Try to find a way to make a normal chore more efficient. Listen to a non-fiction audiobook while doing the laundry, exercise at the park while spending quality time with the kids, do wall sits while reading a book, etc,. If an INFP is experiencing extreme or chronic stress, they might fall “into the grip” of Extraverted Thinking. When this happens, they may become obsessed with fixing perceived problems, and righting wrongs. They may blurt out hostile thoughts or engage in destructive fantasies. They also may become more sarcastic and cynical. They may become aggressively critical to others and themselves, dwelling on all the “facts” necessary to support their overwhelming sense of failure. If you’d like to find stress-relief solutions specifically for INFPs, check out this article. INFPs are extremely devoted to the people who they take into their hearts. Once they decide to let someone into their lives, they are usually extremely empathetic, warm, and compassionate. They tend to take their relationships seriously, although when it comes to relationships INFPs are all very different in what they desire and want. I’ve spoken with many INFPs who prefer long-term relationships, and quite a few who pursued less traditional relationship preferences. Most of all, they need to feel that their partner is authentic and sincere with them. They need to feel that they can 100% be themselves. INFPs who are in relationships that are filled with conflict tend to not stick around very long. They hate conflict and being constrained, and they will likely drop a partner who tries to reign them in, micro-manage them, or who is very critical or harsh. INFPs are very nurturing and supportive partners. They want to encourage their partner in their own unique hopes and dreams and find out what drives them and what their craziest, deepest, wildest fantasies are. They bring imagination, creativity, and empathy to a relationship, and this quality makes them very attractive and intriguing to other types. INFPs need a partner who will be attentive and honest. Insincerity and poor listening skills are two of the biggest turn-offs for INFPs. They also want someone who will respect their values and provide affirmation and reassurance of their personal feelings. Creative – INFPs are extremely imaginative and creative individuals. They like to think outside-the-box and see ingenious or innovative ways to do things. Sincere – INFPs believe in being authentic as much as possible. Lying is anathema to them, and while INFPs can be guarded, they are extremely turned off by phony or manipulative behavior. Empathetic – INFPs tend to mirror the emotions of other people – they put themselves in other people’s shoes and use their imagination and empathy to have compassion for them. They are very good at listening to other people’s problems and concerns without passing judgment. They are skilled at providing a safe space for other people to talk, express themselves, and find support. Open-Minded – INFPs tend to have a live-and-let-live attitude towards others. They don’t desire to force their beliefs onto others, and usually they will only call out someone’s behavior if it’s hurting someone or if it clearly violates their values. 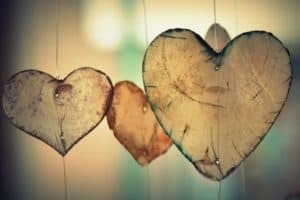 Dedicated – INFPs are passionate about the causes that are close to their hearts. They are very loyal to their beliefs and are dedicated to their vision and ideas for the future. They can be very courageous when fighting for a value or cause they believe in. May Struggle with Structure and Details- INFPs like a more open-ended, adaptable lifestyle, and can feel overwhelmed or stifled within a highly structured environment. While this, in and of itself, isn’t a bad thing, it can mean that they struggle with organizing and structuring their tasks and workload. Because they are big-picture thinkers, they may also forget little details that are important. Extremely Private – Many INFPs are private and reserved. Their feelings are often very internalized and it can take a lot of time before they feel comfortable sharing them with others. This can lead to feelings of loneliness and isolation if they don’t find a close enough bond with someone who they can share their authentic self with. Taking Things Personally – INFPs tend to take criticism very personally, and can have a hard time seeing constructive criticism for what it is. They may avoid conflict so much that they are unable to express their real opinions about things, or they may feel stressed or overwhelmed when dealing with criticisms or challenges from others. Overly Idealistic – INFPs tend to have grand visions and hopes for the future. This is an amazing quality, and one that can make them very visionary and inspiring. But sometimes it can backfire, when they feel inevitably disappointed with the imperfections of daily life or when people fail them. It is rare that reality matches up with the beauty of their imagination. – In a national sample, INFPs were overrepresented in “Writing,” “Appreciating art”, “Reading”, and “Listening to Music” as their preferred leisure activities. – In a national sample, they were among the top four types in valuing “Autonomy” and “Creativity”. – INFPs show occupational trends in the fields of counseling, writing, and the arts. – The most important features of an ideal job to an INFP are creativity and originality. – INFPs prefer the academic subjects of art, English, and music. – Male INFPs were overrepresented among a sample of male therapists. Does this article resonate with you? Let me know if you have any thoughts or experiences to share! Are You An ISFP Or An INFP? This is the FIRST time I have really gotten the conflict between introverted feeling and extroverted thinking. I have just started to research INFP “functions” more after all these years. So helpful! I have often said I feel like I have two voices inside me, one that operates on feeling that “knows” the answer intuitively, and a more harsh by the book voice. For a long time I functioned on TE. By the book may work for most personality types but for an INFP, it is a slow death. Don’t do it. I really enjoy the validation by reading about these functions that not only is it okay to go by feeling, it’s preferred! It is the way my brain works!